MF Productions helped to produce the Park Avenue Armory’s inaugural Gala honoring Elihu Rose. 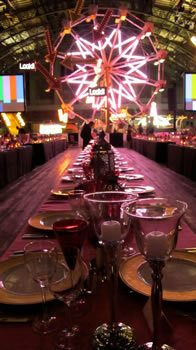 The grand affair served as the official kick-off for the Armory’s four-day carnival. The soaring 55,000-square-foot drill hall was transformed into a theatrical and artistic wonderland featuring a 50-foot Ferris wheel, whimsical performances, games, and rides. 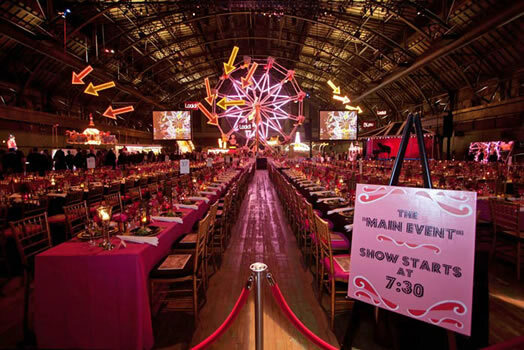 Over 500 guests dined in the Wade Thompson Drill Hall and were later entertained by on stage performances by Meow Meow and Martha Wainwright, in addition to an assortment of hula hoopers, jugglers, magicians, and acrobats roving the space. The guests were encouraged to participate in the games and rides and a spectacular time was had by all.